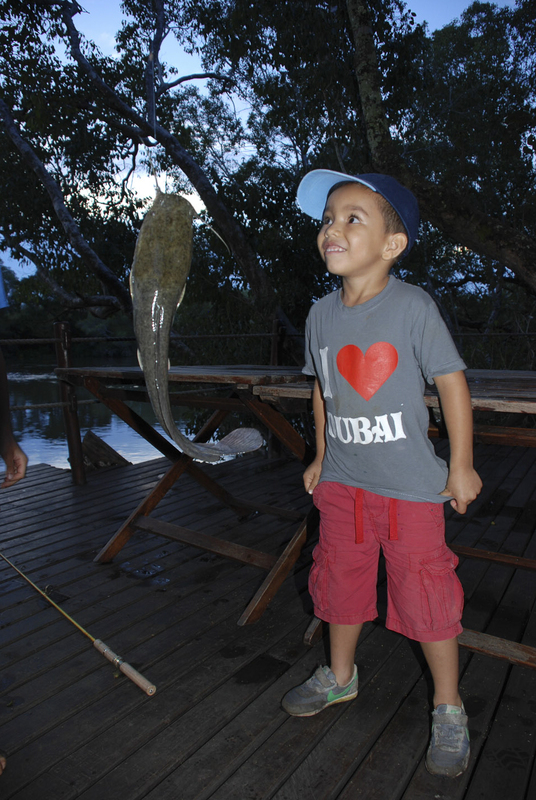 Many activities can be done with the whole family but we also offer exclusive activities for children and youngsters. On our nature walks the whole family can explore the untamed wilderness around us and experience the vastness of Zambia. Our specialist guides will explain how to read the spoor of animals, identify insects and birds and explain which plants are useful for survival in the bush. Boat cruises on our magnificent part of the Kafue River are a pleasure for every age with the opportunity for fishing and island exploration. In the hotter months we visit our natural swimming pool in the rapids near camp and refreshment can be found safely in the natural pools. Kids and youngsters can get involved with our blacksmith making spears and arrowheads in his traditional iron forge. They can learn how to make a rope of a tree-fibre and when bows and arrows are completed practice their shooting skills by protecting our straw antelopes from ‘poachers’. Our chefs are delighted to have hands on assistance in baking fresh ‘hippo-rolls’ or making dough for stick bread baked around the fire pit in the evening. Listening and sharing stories around the camp-fire lets everyone forget the absence of electrical gadgets and when it gets too late for the youngest an evening child care will be arranged. Trips to our local school can be arranged where children can meet their counterparts and share experiences in the classroom and the playground. 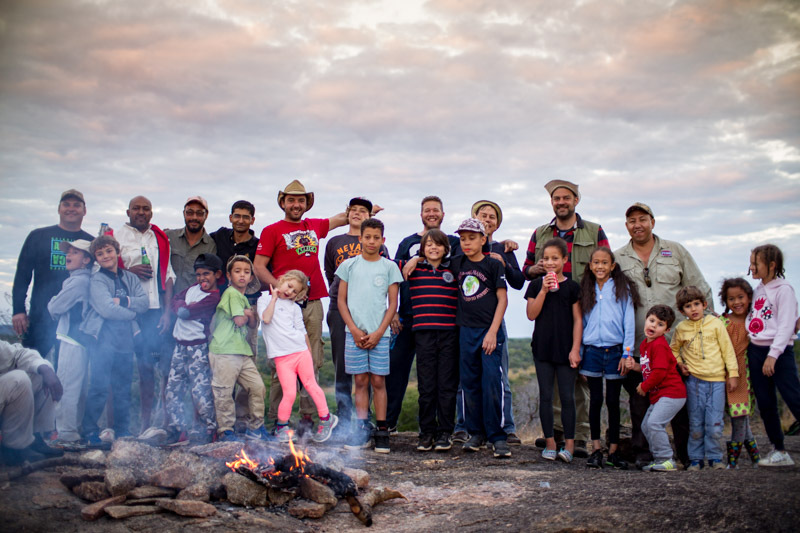 tracking, spoor identification, bow & arrow making, archery, stargazing, fishing, entomology, boating, bread making, African storytelling & drumming, rope making and bush skills, excursions to the local school. All activities have a focus on conservation and sustainable use of our resources. Families find comfortable accommodation in our Finfoot Family House and extra beds can be added to our Tented Chalets. • We cannot take infants on any river activities. This applies to boat transfers, so groups comprising infants will have to arrive in the camp via the Itezhi Tezhi road (D769). • To participate in game drives the minimum age is 6 years old. Please be aware that the higher pitch of children’s voices can cause reactions with certain dangerous game (Lions, Leopard, Elephant) and your guide may well choose to not approach such animals if children are on board. 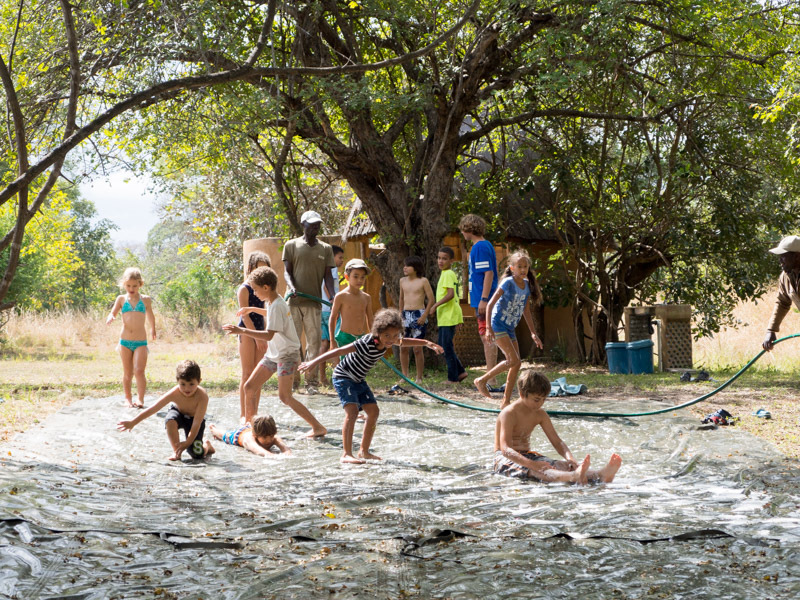 • Unless you have booked a private vehicle then it is at the management and guides discretion if children from 6 – 12 will be joining game drives if other guests will be present on the vehicle. • You are of course welcome to do game drives in your own closed vehicle. • Please help us to help you by enforcing camp safety rules with your children and ensuring that others in camp are not disturbed. Remember most people come to the bush to escape the stress of daily life and to enjoy peace and serenity.